In February of 2018 I established Shine the Light Foundation, a nonprofit organization focused on the education and outreach for domestic violence. My Shine the Light Campaign now helps to support my foundation and its programming. They say if you want something, go get it. 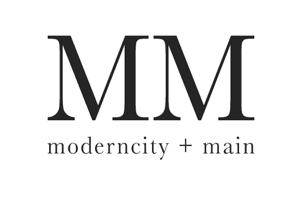 I started Moderncity + Main in March of 2016 out of my 1000-square-foot apartment in Newark, Delaware. I have spent more late nights in my studio - aka my dining room - than I can count making candles and prepping orders to ship out and to deliver. The coat closets adjacent to my living room have been taken over by market displays, tables, and spillover studio supplies. Weekday mornings I am often printing shipping labels whilst chasing my son and my dog about the living room and nearly twisting my ankle on yet another monster truck or dog toy - all before packing up and taking my darling boy to school so that I can attend my day job as an advisor and instructor at the University of Delaware. My life is crazy. The thing is, though: I wouldn’t change a thing. In nearly three full years of operation I have made almost 10,000 candles. Each and every one was hand-poured by me - probably at night after my loves were sound asleep - in small batches. A small batch is four of my 9oz glass jar candles, which takes about 20 minutes start to finish (melt to mix to pour to cure). That means that in the three years of making candles for my business I have spent just about 830 hours in my studio (read: my dining room). If there’s one thing I learned in my life, prior to starting a business and most certainly whilst running one, it’s to never give up. Work like hell and hard for what you want and throughout the process always remain grateful for the opportunity to learn. A larger home and my own studio space - and storefront! - is on the very near horizon, but for now I make it work in a tiny studio, and home, filled with love.